System status codes are displayed for two seconds, alternating with normal “% LOAD” or “% BATTERY” displays. If multiple alarm conditions exist, the system status code display cycles through all active alarm condition codes before returning to “% LOAD” or “% BATTERY”. Contact GRYPHON to order a replacement battery. Your computer systems are under constant attack. Power lines conduct more than the electricity that run your systems. They also carry electrical disturbances that can disrupt, degrade, and destroy your systems. This leads to soft failures (lock-ups, error messages, system restarts) and hard failures (board replacements, component failures) which can ultimately shut down your system and wreak havoc on your business operations. 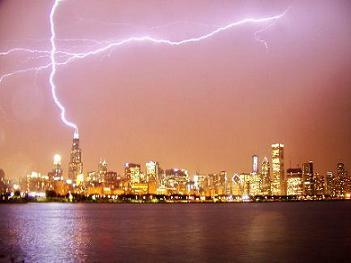 The occasional lightning strike is an obvious example, but everyday high-frequency interference, while less dramatic, can be equally devastating. Caused by utility grid switching as well as elevators, HVAC units, copiers, and other equipment loads on building power lines, these constant power line disturbances can cause system lock-ups and component failure which leads to downtime and lost productivity. Since 1985, Gryphon has provided its customers worldwide with the best power and environmental protection solutions for their sensitive microprocessor-based electronic equipment. ONEAC's Power Conditioners and Power Conditioned UPSs assure that your systems perform reliably and trouble-free. Delivering premium-grade conditioned power, ONEAC's transformer-based products eliminate AC line disturbances that can disrupt, degrade, or damage your microprocessor-based systems. It's a level of protection that others can't match. Those who switch from conventional power protection to ONEAC report less downtime, fewer interruptions, and longer equipment life, which ensures peak performance and TOTAL system reliability. Sinergy III Series UPS is an online double conversion UPS. Universal-Mount rack/tower design with models available from 700 to 3000 VA with improved power factor & hot-swappable internal batteries. The extended runtime capability allows backup power protection for up to 8 hours. 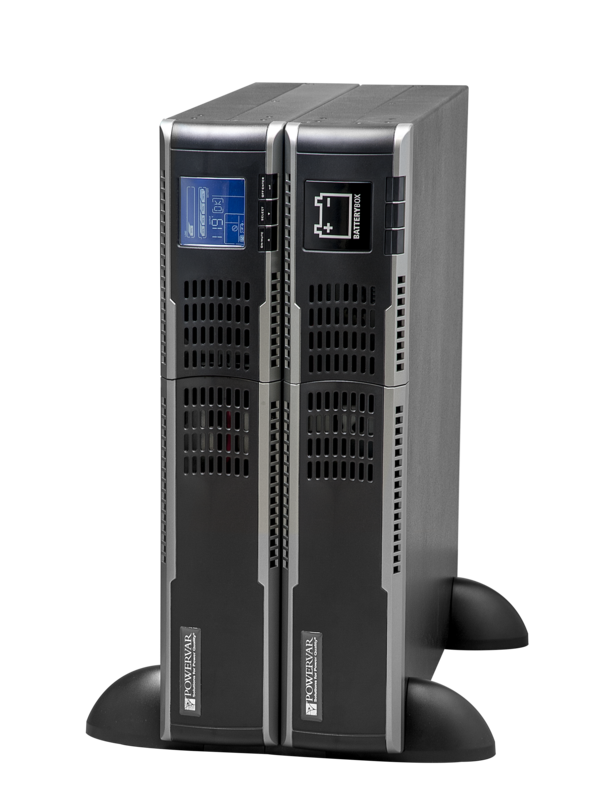 The Sinergy III Series UPS offers a high degree of protection for all your critical systems. Ideal for applications including advanced computer peripherals, telecom electronics, medical instrumentation, advanced control systems and VoIP|PBX systems. The Sinergy III provides peace of mind for businesses operating with mid to high level applications. Gyphon, Inc. now offers POWERVAR power protection products. Click on the link below to view the POWERVAR 2013 Product Catalog. Our website will be introducing new pages to incorporate POWERVAR'S products over the next several months. The POWERVAR Power Probe is a vital tool for diagnosing power problems on site in a timely manner. Power contamination becomes evident and a visual illustration is displayed on a standard two-channel oscilloscope. The suspected electrical culprit can be found and eliminated. Power contamination inevitably results in hardware and software failures including power supplies, hard disks, integrated circuitry, data and logic corruption, and mysterious unexplained reasons for disruption. Use of the Power Probe can expose contamination so that preventative measures can be taken to protect the electronics from costly repairs. Today, all systems experience both hard and soft failures. Studies have shown that up to 80% of these failures are related to the quality of the AC power. Especially hard to identify are the soft failures such as lock-ups and error messages. While the uninterruptible power supply (UPSs) provides battery backup during power outages, these outages account for less than 1% of the time. What about the other 99% of the time? What level of protection is the UPS providing when the lights are on? Is it truly conditioning the power, providing the pristine AC environment modern systems need, or is it nothing more than a cheap device that responds to spikes and surges by “clamping and suppressing”? If they’re “clamping” that means they have to respond to the event. Once you have a “response time”, you’ve let something get through. By suppressing, it means they’ve suppressed the high voltage event to some lower level. How low is the Let-Through Voltage of the device? That’s what matters most.